Fusion Yoga & Wellness offers Reiki Level 1, 2 and 3 Training and Certification to spread the benefits of the practice to as many people as possible. Whether you’re looking to help others or seeking personal healing, Reiki is a modality accessible to everyone. Check our events page to find more information on when our next training will take place. 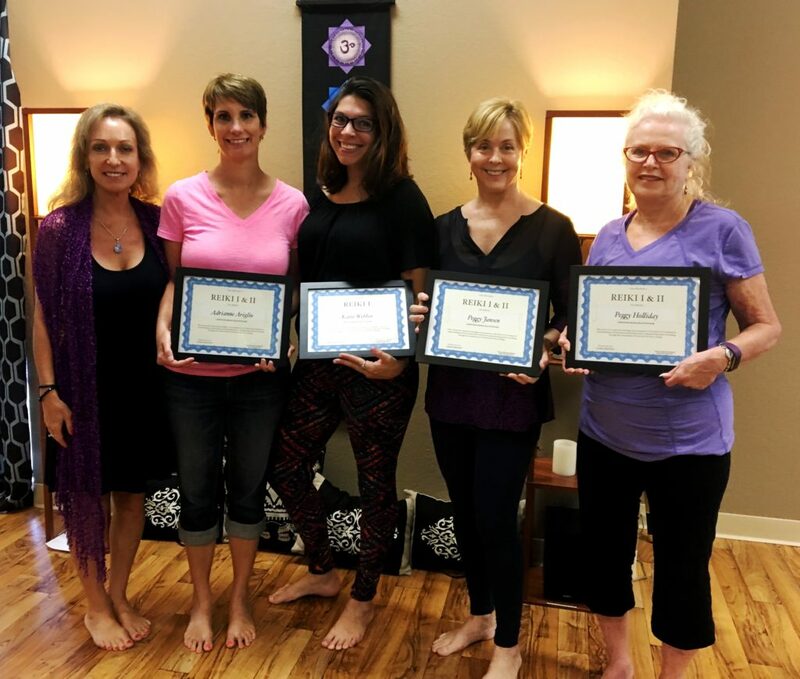 Gina Goodrich, Reiki Master, with Fusion’s 1st EVER Reiki I & II Certified Practitioners at the completion of their training and attunements. 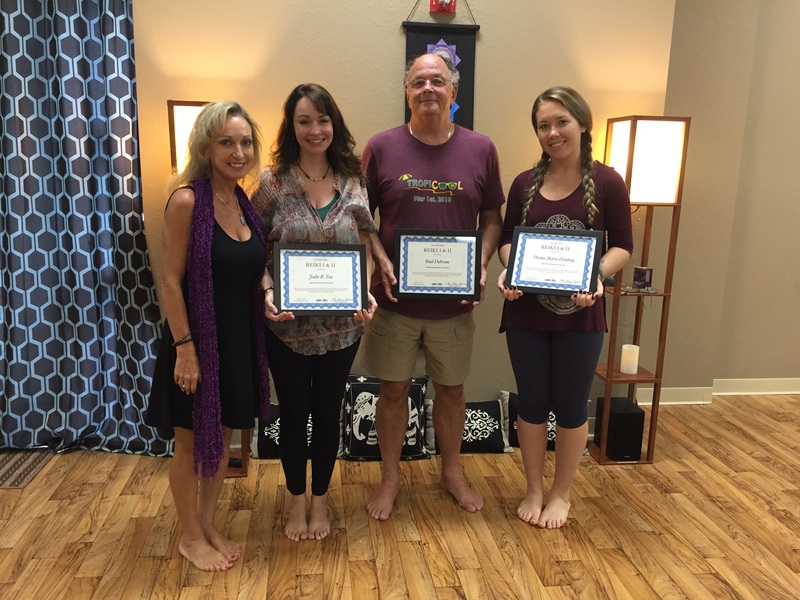 August 2016: Fusion’s second group of Reiki graduates, including two Yoga teachers! 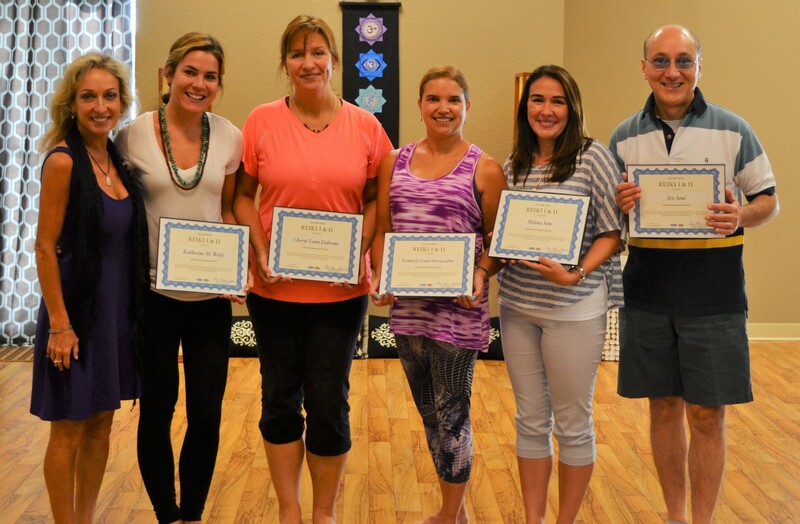 Our third class of Reiki practitioners certified in October 2016, ready to heal themselves and others! 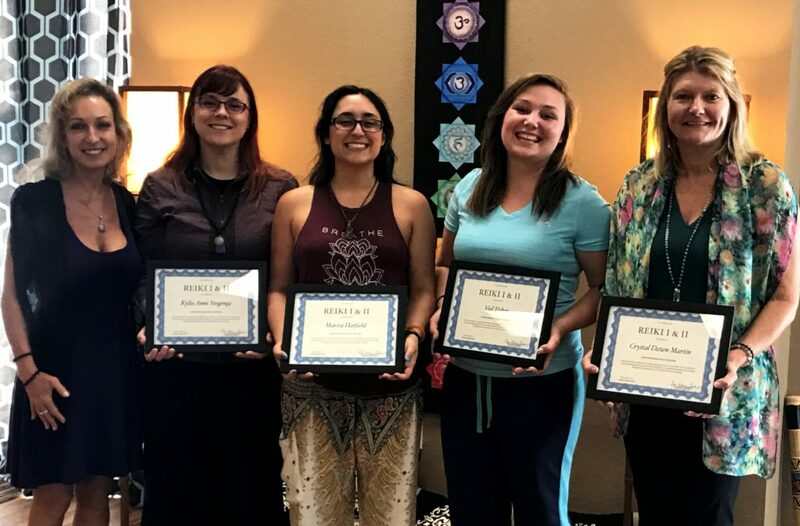 February 2017: Three new Reiki practitioners, and a Reiki I practitioner deepening her knowledge of the practice by receiving her Reiki II attunement with the newest group of healers. 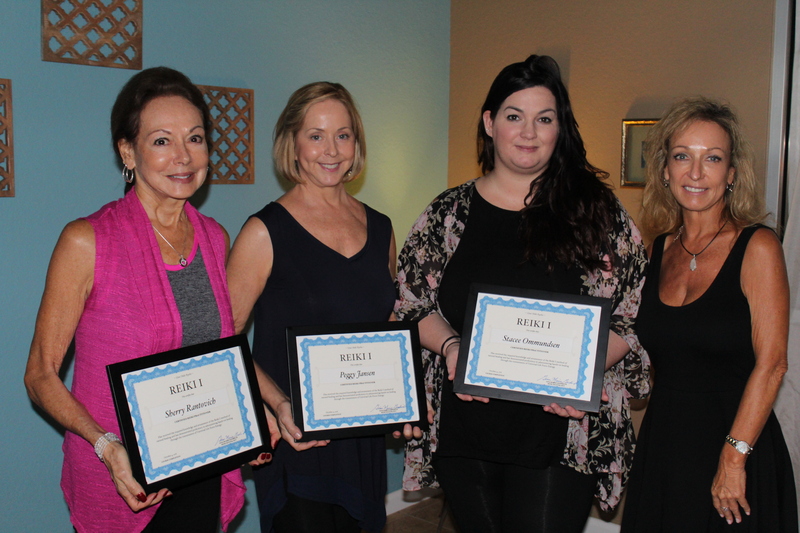 March 2017: An amazing group of 5 women took the next step in their journey with energy and spiritual healing by obtaining their Reiki I & II certifications.